In Modern Forms, Nicolas Grospierre traveled the globe to sample the best modernist buildings from the 20th century. 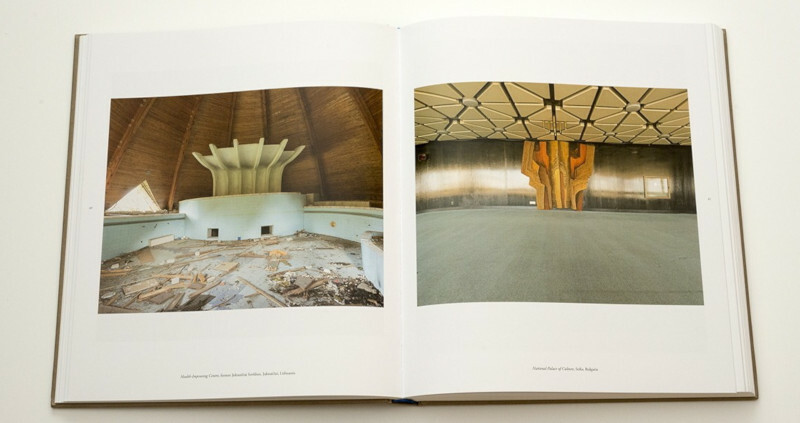 Now, he takes his camera indoors to show how modernist ideas are manifested within the walls of buildings both famous and obscure. Rather than a chronological or geographical tour, these photographs are organized in a visual flow, that allows readers to appreciate similar characteristics in interiors that would normally never be grouped together. 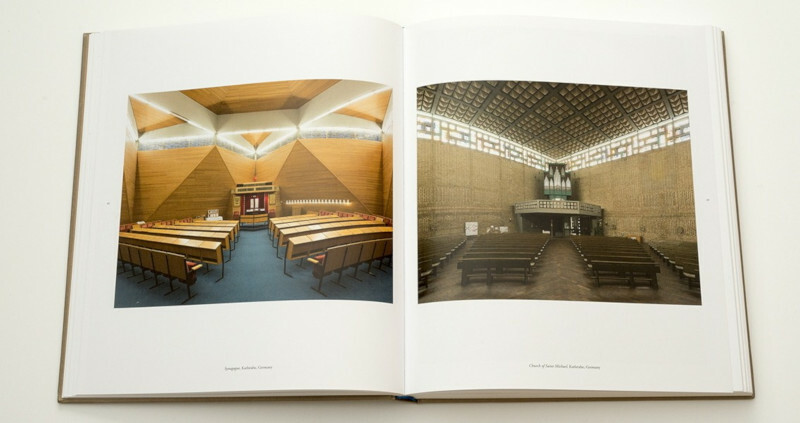 Shot in the same distinctive and striking manner as his previous book, these images reveal the forms that define modernism. Built with forward-looking, Utopian ideals, decades later, they exist in a startling range of conditions, from dazzling to downtrodden. 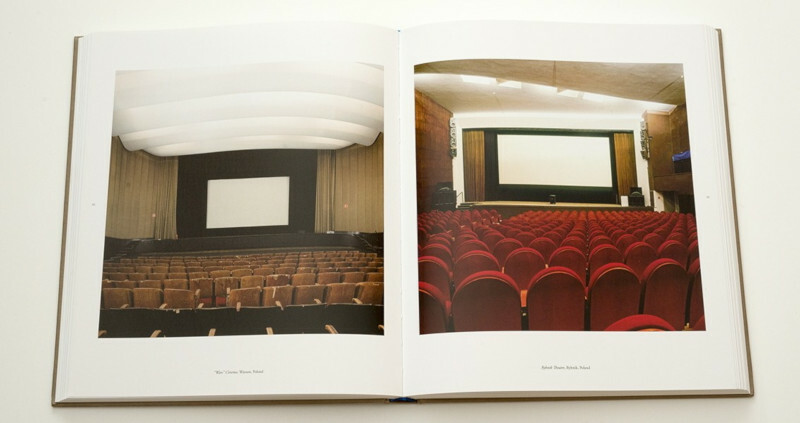 Through the visual flow of the book, readers can make connections between a private residence in Sri Lanka, a stairway at the Ministry of Foreign Affairs in Brasilia, a cinema in Bangkok, a bus station waiting room in Odessa, and the vaults of a bank on Wall Street, New York. Responding to our desires to categorize and catalog, this photographic journey crosses spatial and cultural borders to tell the story of modern architecture. A couple weeks ago I featured Modern Forms, a "subjective atlas" of modern architecture photographed by Nicolas Grospierre. This followup takes readers inside more modern buildings, many of them in the photographer's native Poland. Some of them are found elsewhere, but all of them are obscure, at least to this reviewer. Grospierre does not focus his camera on the icons of architecture; he finds modern buildings that are relatively unknown, often unloved, but always striking formally. 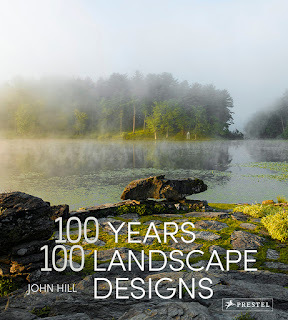 So while Modern Forms presents curved, angular, rectilinear and other forms in unexpected yet logical pairs, Modern Spaces does the same inside, finding surfaces, textures, angles, corners, and functions that lead to similar juxtapositions on each spread. Like its predecessor, Modern Spaces begins and ends with the same photo, in this case a hotel in Warsaw designed by Bohdan Pniewski in the 1960s, in which we look down a linear space marked by illuminated circular openings in the ceiling. Following it at the beginning of the book is another symmetrical composition, this time a museum in Bulgaria with a stair just steps beyond a chandelier hung from a circular opening in the ceiling. Turn the page and we see spiral stairs, a logical transition from the stair and circle we just encountered. With this, we're off, following the formal gradients in Grospierre photos. Flipping through the book means always having an idea of what comes next but then being surprised at the actual details of those interiors. 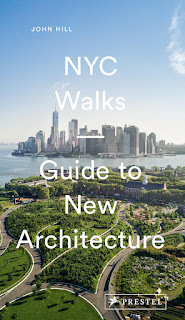 Information on the buildings comes at the back of the book, just like Modern Forms. 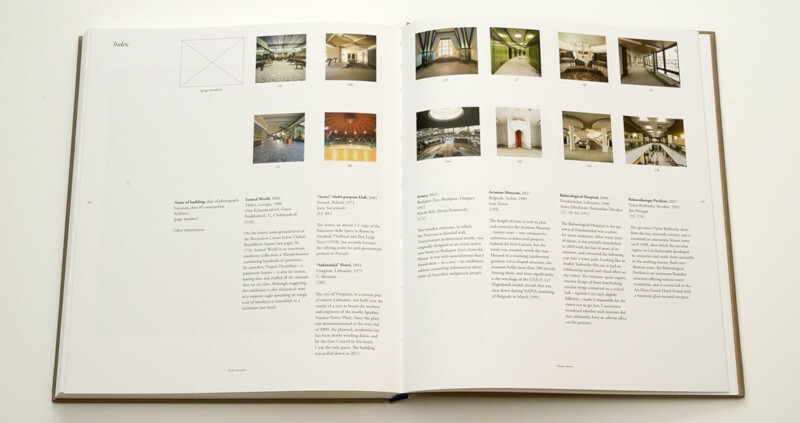 But here the projects are ordered alphabetically rather than as laid out in the book. At first I found this confusing, but with many buildings featured more than once it makes sense. 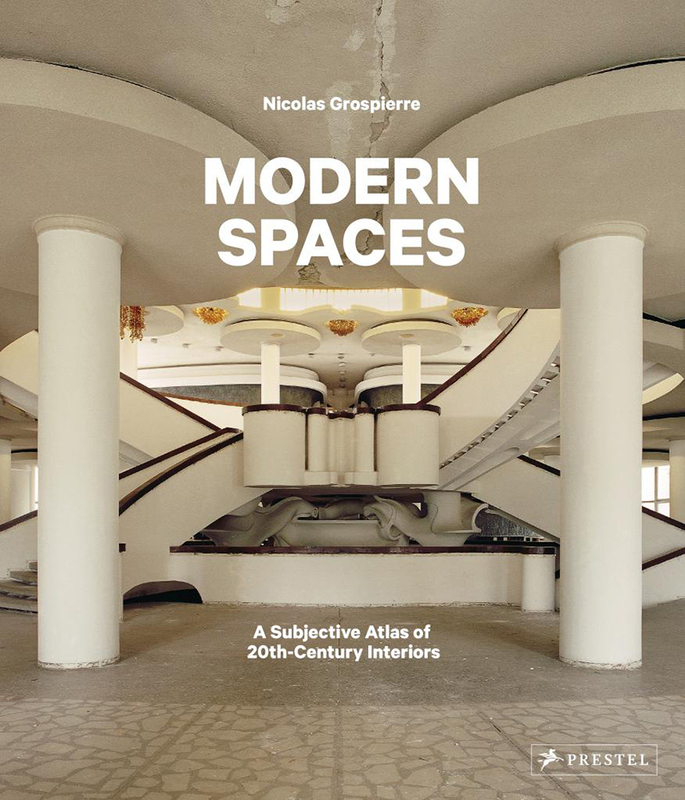 Furthermore, this technique points to the way Grospierre seems to be drawn to buildings with a variety of spaces, such as Balneological Hospital, which is on the cover and is found four more times inside — each space as rewarding as all the others. Nicolas Grospierre was awarded the Golden Lion at the 2008 Venice Architecture Biennale for his joint exhibition in the Polish Pavilion with Kobas Laksa.